Our customer BAE Systems required a new type of modular tooling for the manufacture of military aircraft. Working in close collaboration with the customer, Boldman designed and developed a bespoke, fully reconfigurable modular assembly tooling. This was believed to be the first time in the world that such tooling was used in a military aircraft manufacturing application. 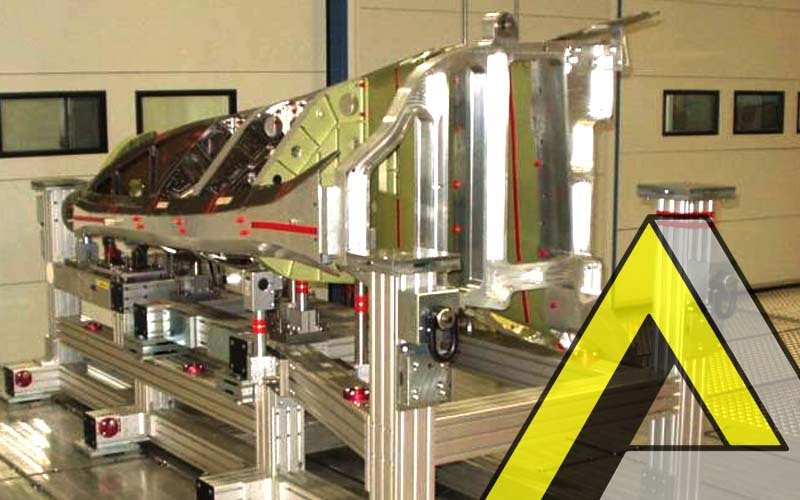 As a result of the success of the project, Boldman was awarded the first modular tooling contract in the world to supply 12 assembly structures to manufacture the Eurofighter Empennage, offering savings of over 40% compared to conventional methods. Boldman’s modular tooling systems have also significantly benefited the BAE Systems Joint Strike Fighter programme, with the majority of ground based demonstrator assemblies being manufactured in nine modular structures. These structures enabled the Lockheed Martin consortium of Northrop Grumman and BAE Systems to win the fly-off against the Boeing consortium, who would supply the potential 3000 JSF aeroplanes to the US Military and the 150 planes that would fly off the two new aircraft carriers being assembled in Scotland’s Rosyth facility.